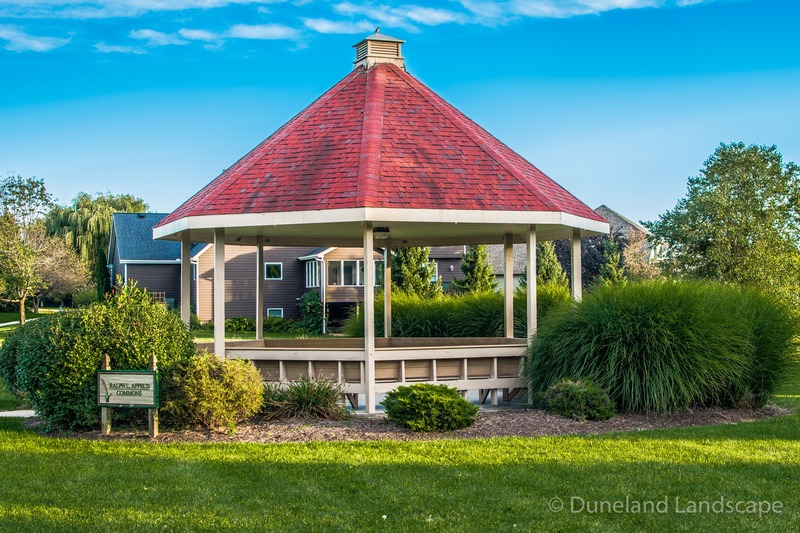 Duneland Landscape is a landscaping company in Northwest Indiana and Southern Michigan. We offer many services to both residential and commercial customers throughout these areas. 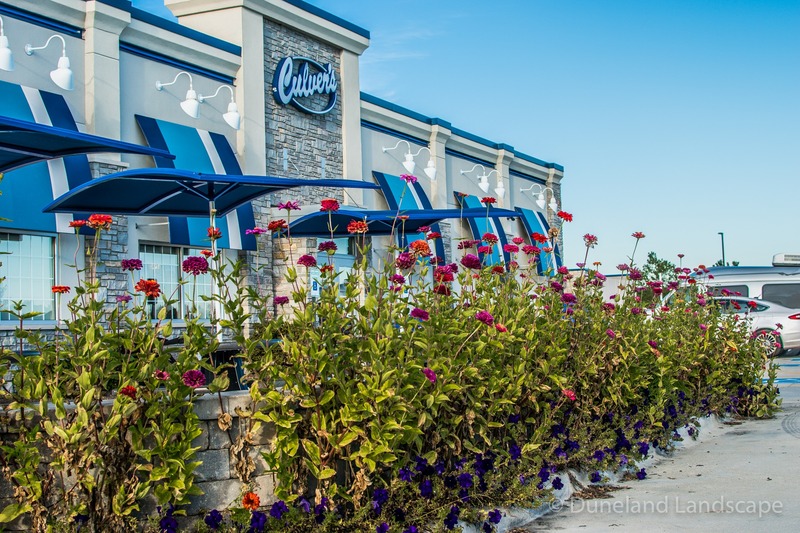 While landscape is in our name, we are known for much more than just landscaping. 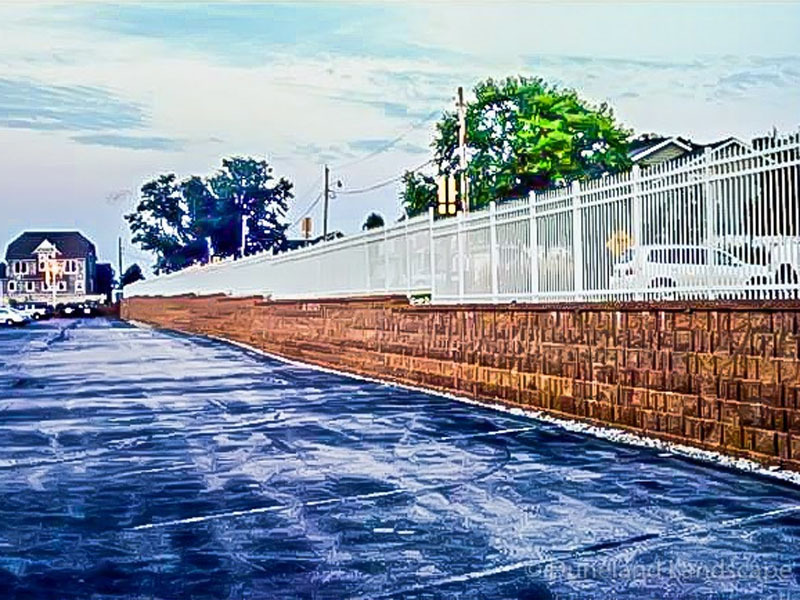 We offer a plethora of outdoor maintenance services from hardscaping to paving. We also provide lawn care and maintenance services to our neighbors throughout Indiana and Michigan. 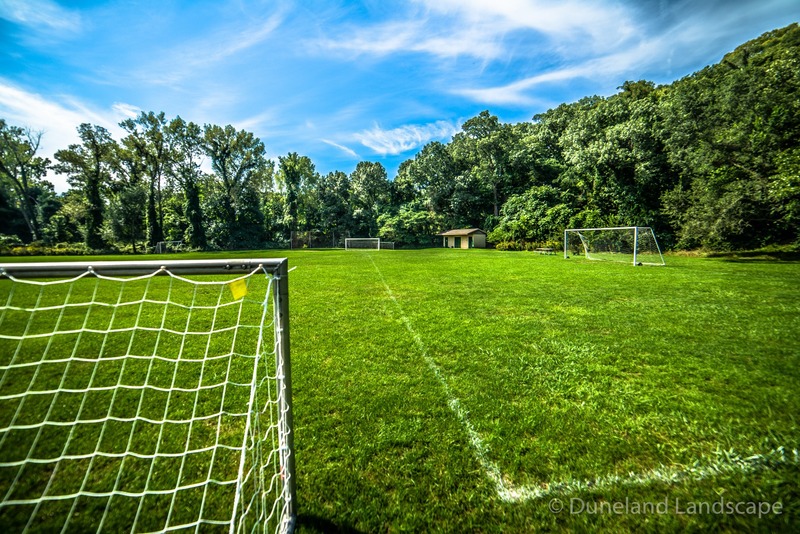 In Ogden Dunes, Indiana in particular, Duneland Landscape provides regular yard maintenance and lawn repair to a local park and soccer field. 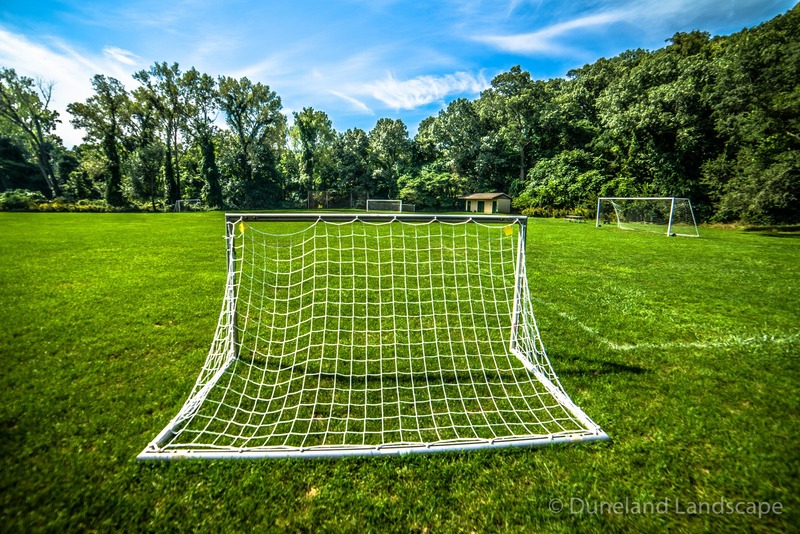 We provide routine grass cutting services, weed control, and pest control to this local park to keep the soccer field appealing and usable for local park patrons. 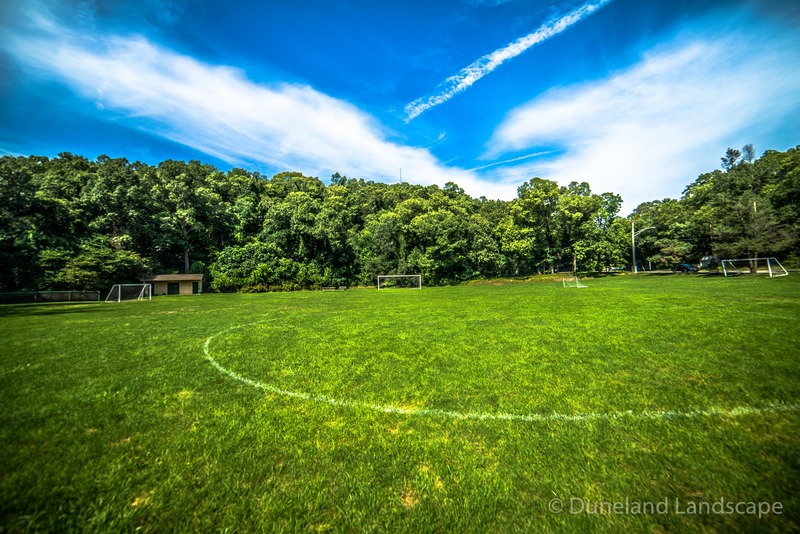 In some areas where the grass has been depleted, Duneland Landscape was able to use grass seed and sod to restore the lush green of the soccer field and make all parts of the outdoor space user friendly. 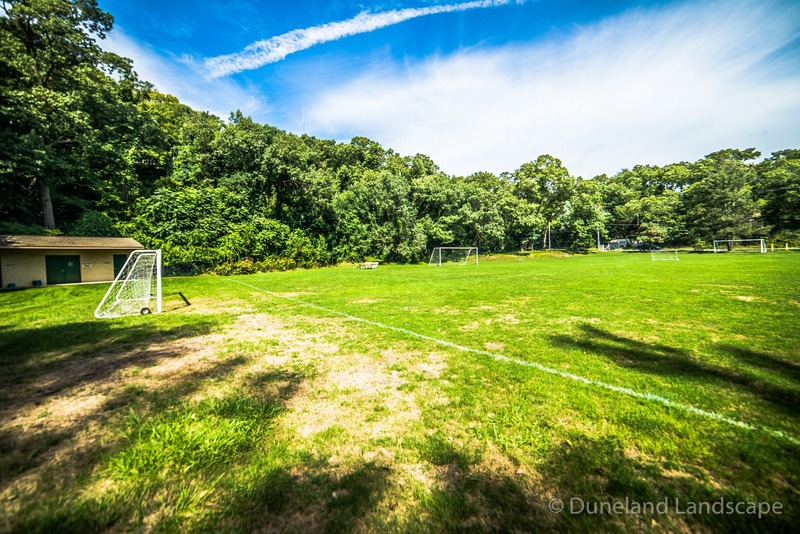 Today, this Ogden Dunes soccer field now boasts a healthy lawn with the help of frequent lawn care and maintenance from Duneland Landscape. 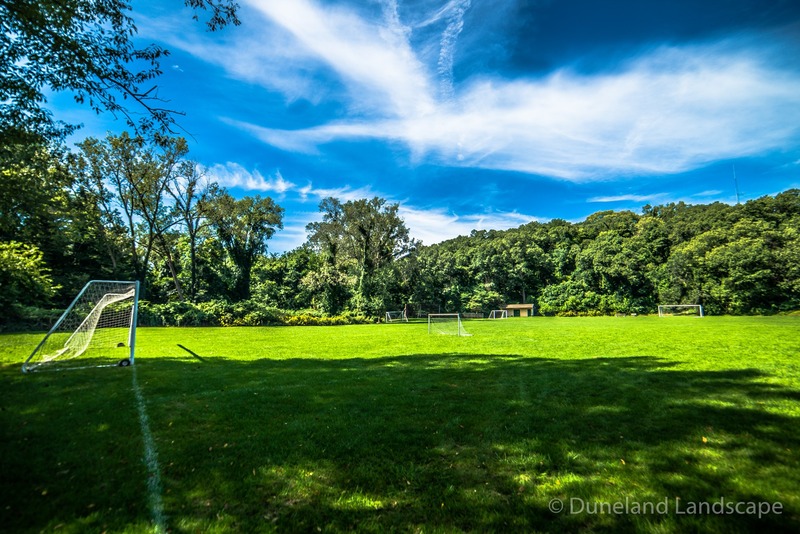 If you’re in search of a trusted lawn maintenance company, look no further than Duneland Landscape. 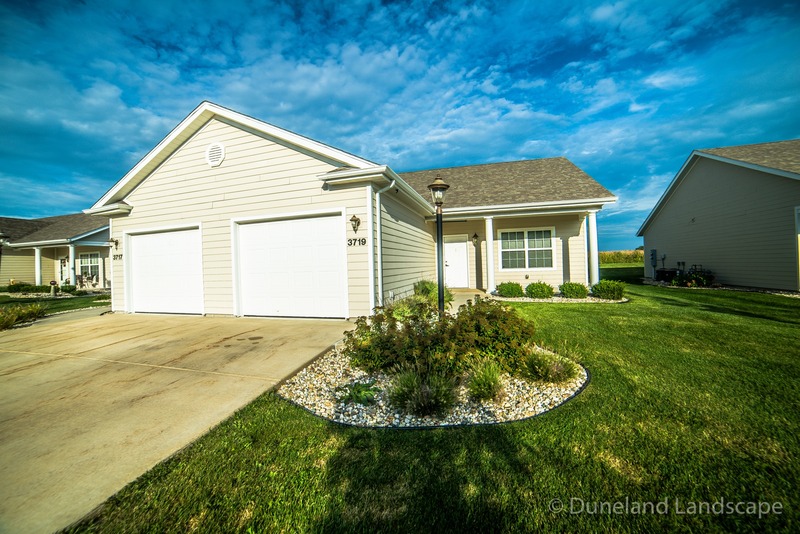 Whether you need lawn maintenance for residential homes or grounds maintenance for commercial buildings, Duneland Landscape has the tools and expertise to get the job done. 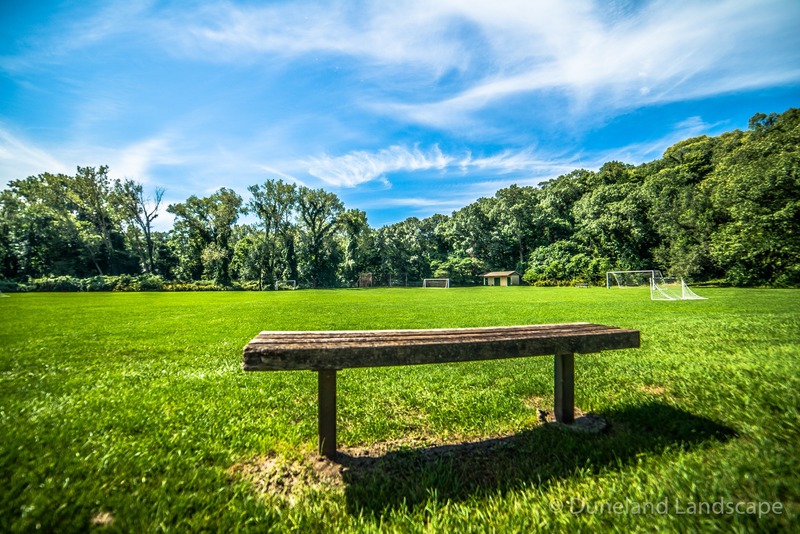 We offer regular grass cutting service along with weed control, sod, tree installation, and more. 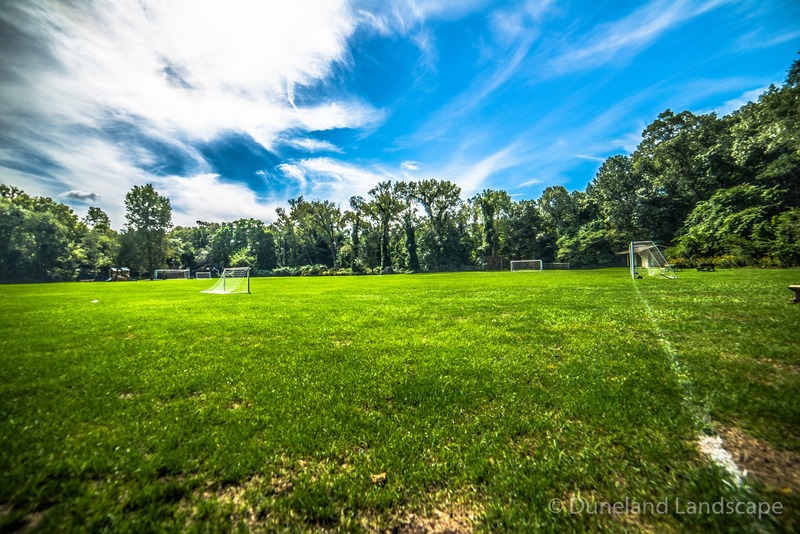 Contact us today to schedule your regular lawn maintenance in Indiana or Michigan.